Warm wind from Africa was blowing rather hard while we had our breakfast this morning. The temperature will rise above 35C today and tomorrow so the wind is not the only thing Africa is sending to Crete at the moment. For breakfast I had yoghourt with dried nuts, fruits and honey. People in Crete live a very long life so I am trying to get a glimpse of the island’s famous health benefits. We now say good bye to Rethymno and start driving toward Chania. 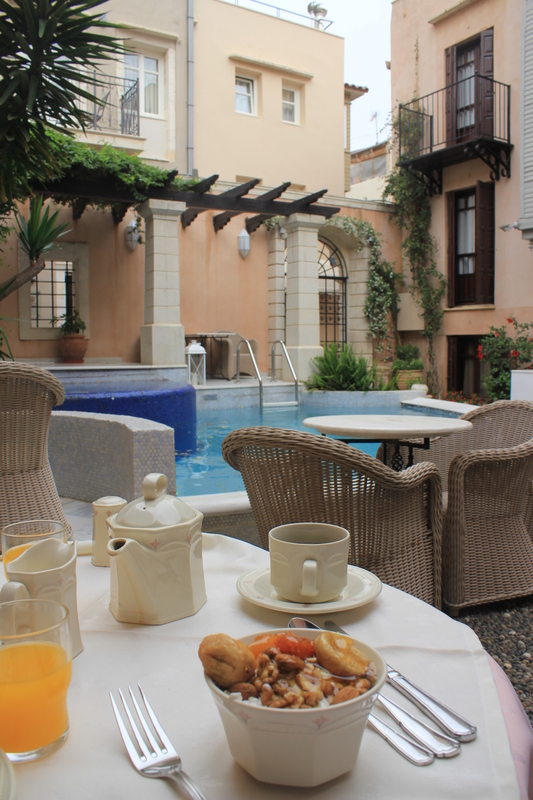 The photo is from our boutique hotel Palazzo Rimondi (http://www.palazzorimondi.com/). This entry was posted in Uncategorized and tagged Crete, food, Greece, hotel on May 17, 2013 by Miia. Yesterday we discovered a very cool Greek group called Active Member. Their music genre falls under hip hop and low bap and has strong oriental influence. We thought there were similarities with Rap Marseillais and Algerian Rai music, too. B.D. 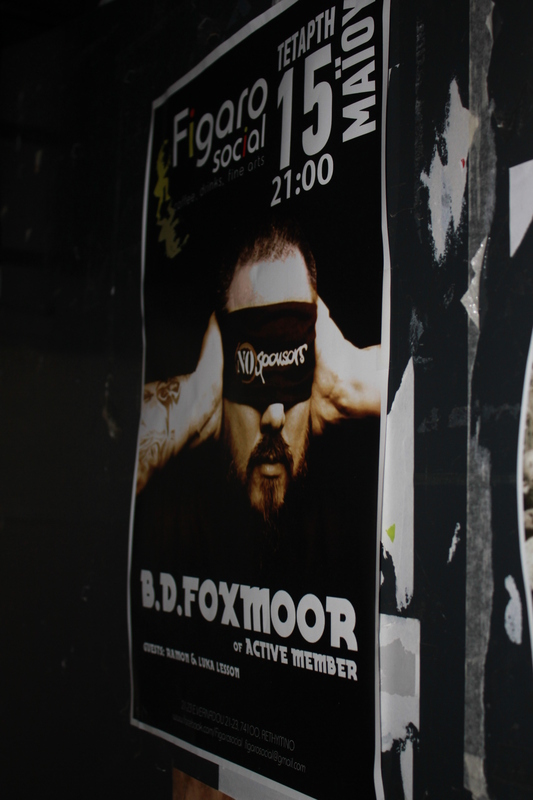 Foxmoor, the founder of Active Member is the one in the photo. 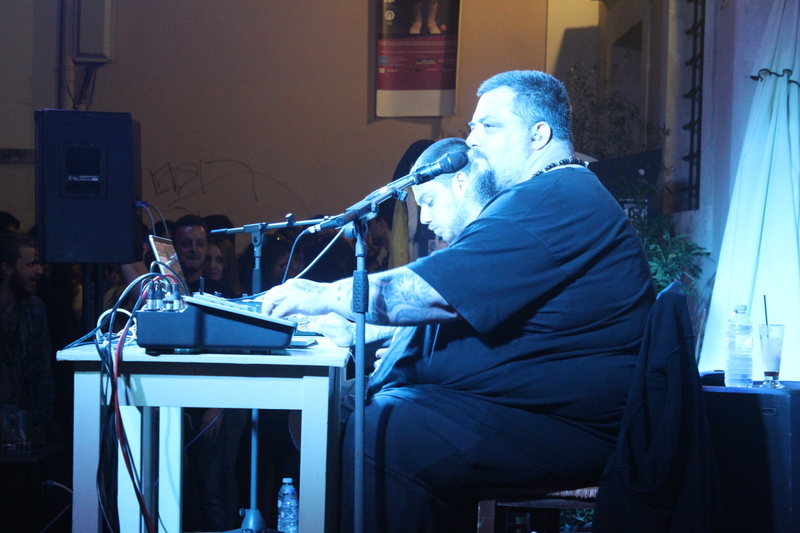 He seems to have an aura of a guru… Indeed, the concert was very interesting and excellent!! Ps I also have a video clip but the uploading takes ages! I guess the walls at our Venetian-palace hotel are too thick! Will try a bit later. Now time to go jogging on the beach before it gets too hot. This entry was posted in Uncategorized and tagged Crete, Greece, music on May 16, 2013 by Miia. 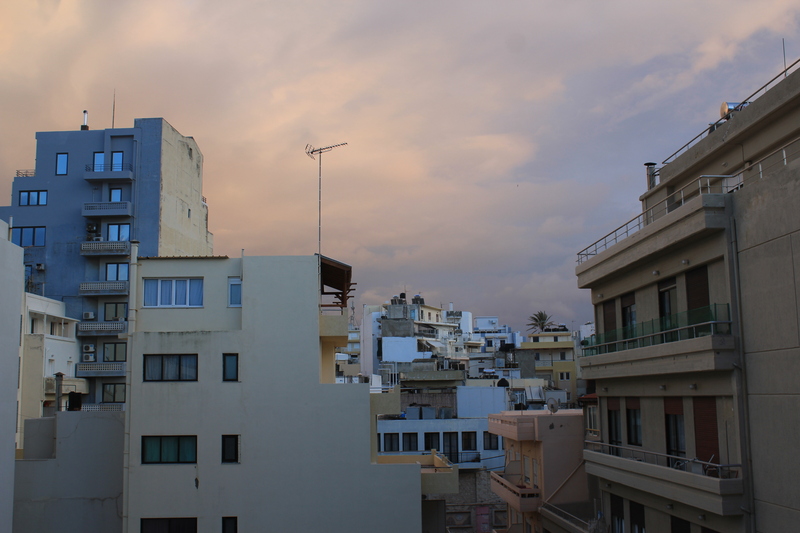 Arrived at the Mediterranean, precisely in Heraklion, the capital of Crete. The seafood is absolutely divine, coffee strong, young boys drive motorbikes without helmet, people look at each other from toe to head, restaurants serve free dessert and raki, and history is everywhere. It has been a long time (since September) that I have not seen the Mediterranean –c’est un grand plaisir! This entry was posted in Uncategorized and tagged Crete, Greece on May 14, 2013 by Miia. Maybe you read The French dilemma: holidays in May and maybe you have been wondering what decision I came to. Well, this photo gives you the answer! Hints are: the Mediterranean, one of the oldest European civilizations and the birthplace of a famous God that you certainly studied at school…. ps I will be traveling from May 13 to May 22 but as always, will try to upload photos and do some writing. Ciao for now. This entry was posted in Uncategorized and tagged Crete, fashion, Greece on May 12, 2013 by Miia. You go to the market thinking you will buy melons, salmon and avocados, but you return home with beef, strawberries and cheese. What happened? The market decided on your behalf. Or to be precise, the nature and today’s transportation logistics. For example, if you are in France and want to buy muskmelons, you see that the price is about the double of what it should be. At the Bastille Market (Le marché de la Bastille) this morning we were explained that some lorries were recently checked at the French customs and drugs were found. Poor Moroccan melons are stuck at the customs and the melon scarcity has brought the prices up. We will try again next weekend, and meanwhile, what we found this morning looks equally delicious! Bon Appétit! 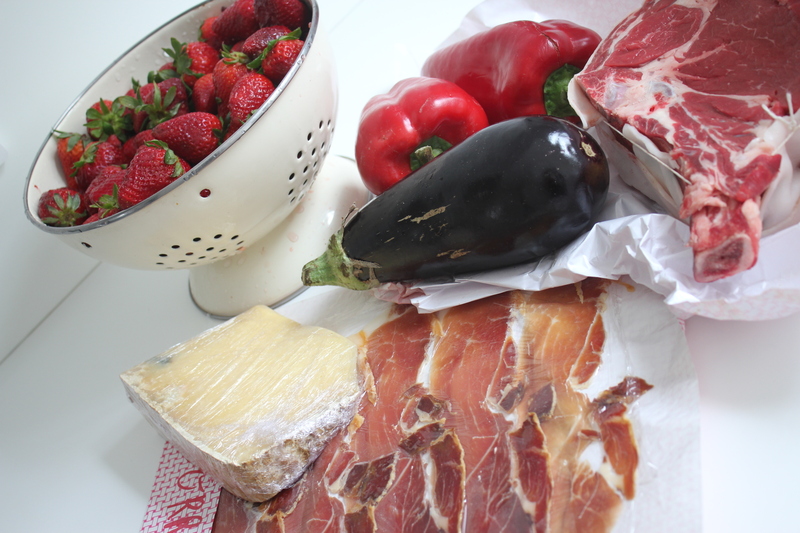 This entry was posted in Uncategorized and tagged food, market, Paris on May 9, 2013 by Miia. Some of the most popular search terms of my blog are related to Laos and how to get there, so I decided to write more about this lovely country that I visited in February 2013. We flew with Lao Airlines from Siem Reap, Cambodia, to Vientiane, Laos, and spent two very pleasant days in Vientiane. To read more about the World’s Cutest Capital, as I call Viantiane, see my previous articles The Sleeping Beauty: Vientiane (part 1) and The Sleeping Beauty: Vientiane (part 2). From Vientiane we took a bus to Luang Prabang (read Bus ride from Vientiane to Luang Prabang) and from Luang Prabang we traveled by air to Bangkok. However, if you are doing more or less a similar kind of itinerary but traveling on a shoestring budget, then you may want to consider visiting Luang Prabang first, descending to Vientiane by bus and spending few nights there, and continuing to Thailand by land. The travel time (by land transportation) from Vientiane to Thailand is significantly less than travel time from Luang Prabang to Thailand. A lot of other travelers we met arrived from Hanoi, Vietnam, were using Luang Prabang as an entry point and Vientiane as an exit point. The national carrier Lao Airlines (http://www.laoairlines.com/) deserves some words, too. 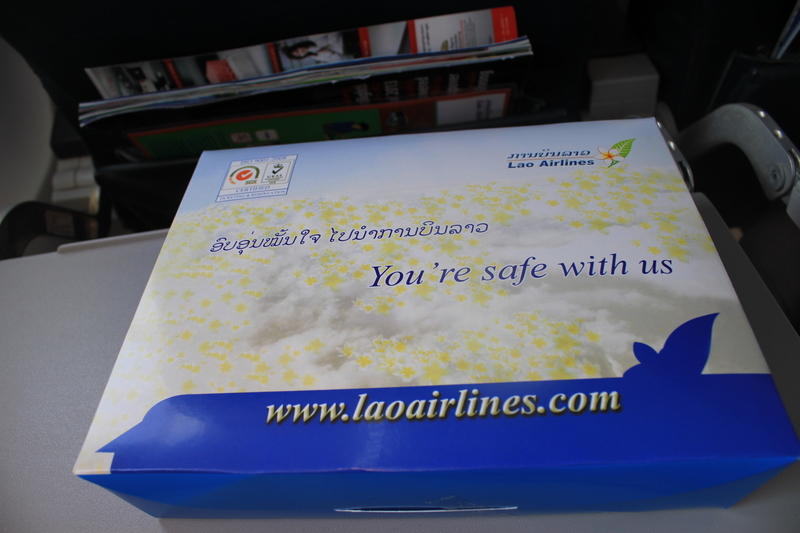 The Internet is still full of worrisome questions about the safety but in overall, Lao Airlines is “as safe as it gets”. In the past I used to fly old Tupolevs and other planes with questionable reputation in countries where sanctions often put limits to airplane maintenance. Once in Uzbekistan the plane was taking off and the flames were coming out of its engine. Another time the plane was filled with chicken (talking about avian influenza…)! All this said, I am still here and I felt safer with Lao Airlines than with many other airline I have tried, and I have comparison material! February and March 2013 we flew Laos Airlines on ATR72 airplanes, which are French-Italian manufactured twin-engine turboprop planes, thus considered very reliable. In 2011 Lao Airlines purchased two Airbus A320 aircraft and in an interview given in January 2013 with Mr. Sengpraseuth Mathouchanh, Vice President of Lao Airlines, it was announced that the number will increase to four by March 2013. I n the same interview, Mr. Mathouchanh revealed the next new destinations: India and the Middle East. He emphasized that the airline is currently working hard on the safety management system (SMS), aiming at the IOSA accreditation in 2014 (the IOSA accreditation will allow Lao Airlines to fly to Europe). In terms of the pilots, they are trained in Toulouse, France. An Englishman we met at Chokdee Cafe in Vientiane said he had flown from Luang Prabang to Vientiane on an A320 aircraft and it was excellent. I bet that the more you stick to the more touristic routes, the better your chances of getting the newest aircraft is. Lastly, Laos being one of the only remaining Communist countries in the world provides tourists with one benefit: the price fluctuation is weak. 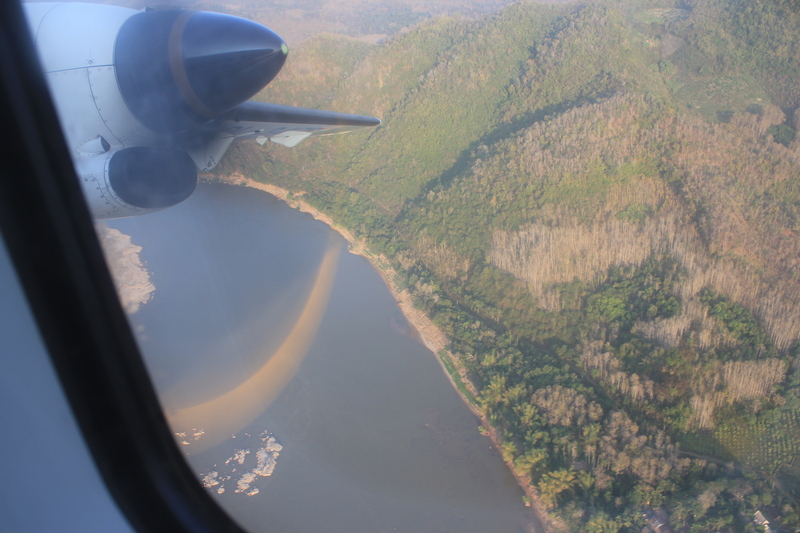 Each time we flew Lao Airlines we purchased the tickets one day before (and this was during the high season!) and the price had not changed at all. 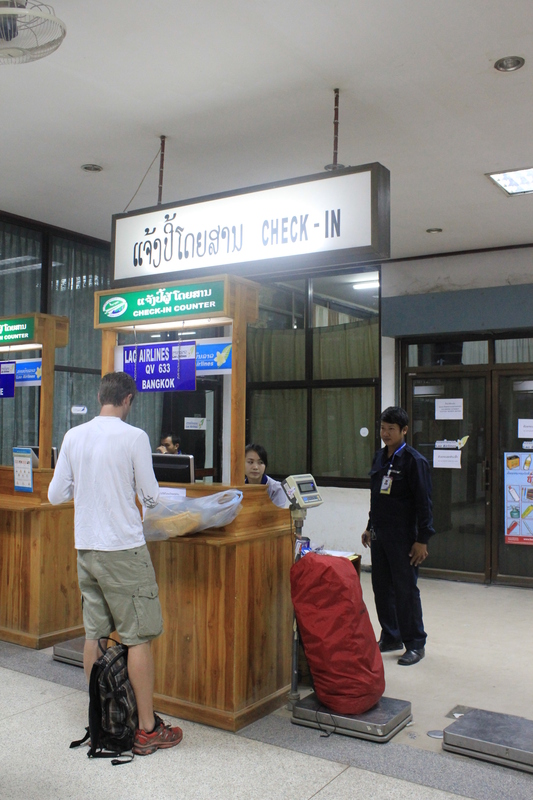 For example, Luang Prabang-Bangkok (one way) costs 120USD and Bangkok-Vientiane round trip 135USD. 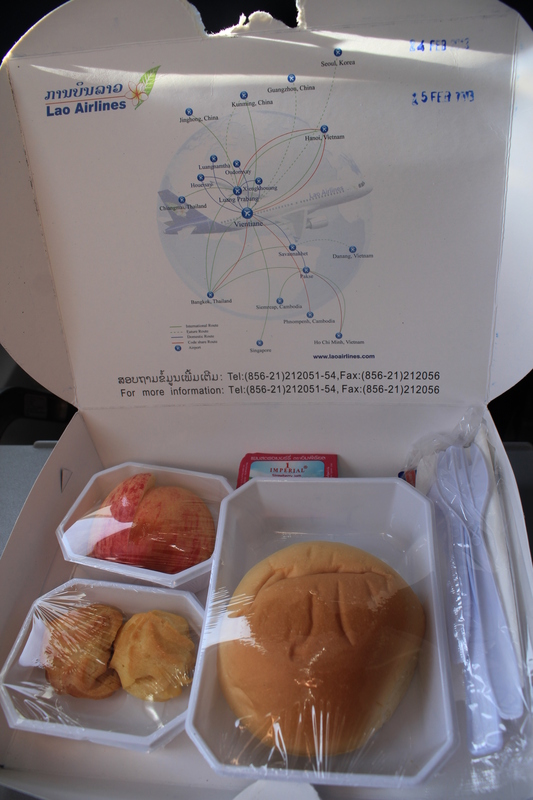 This entry was posted in Uncategorized and tagged airline, Laos on May 9, 2013 by Miia. 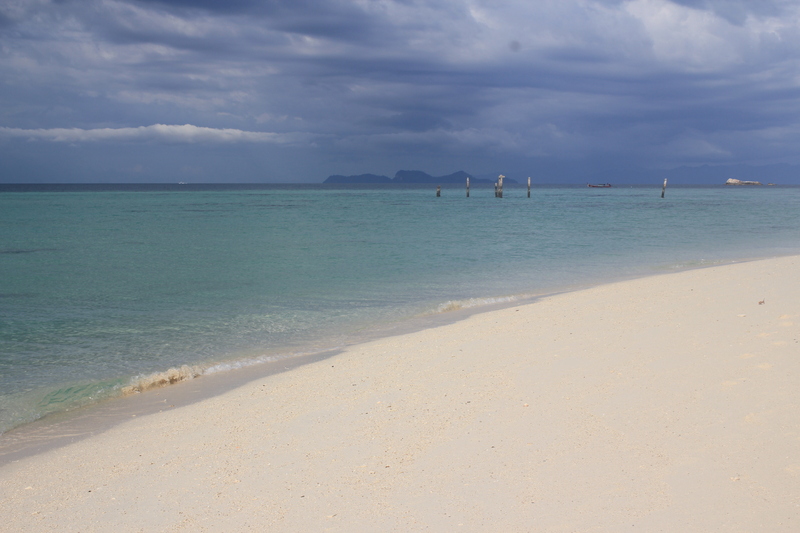 Thailand was the last stretch of our Southeast Asia trip and which beach to choose was a big dilemma! Our criteria were: somewhere quiet, away from mass tourism and reputable snorkeling. If time was not a constraint, we would have chosen the Surin or Similan Islands, but with only five days left it made no sense. We heard from diver friends that the sea is generally more clear on the Andaman side, and since our return flight back to Paris was from Kuala Lumpur, I begun looking into the islands near Malaysia. Soon enough I came across with the Tarutao National Marine Park (http://www.kohlipethailand.com/about_koh_lipe_tarutao_national_marine_park.php) and beautiful photos of Koh Lipe Island. I (wrongly) assumed that this rather remote location would guarantee some privacy…. 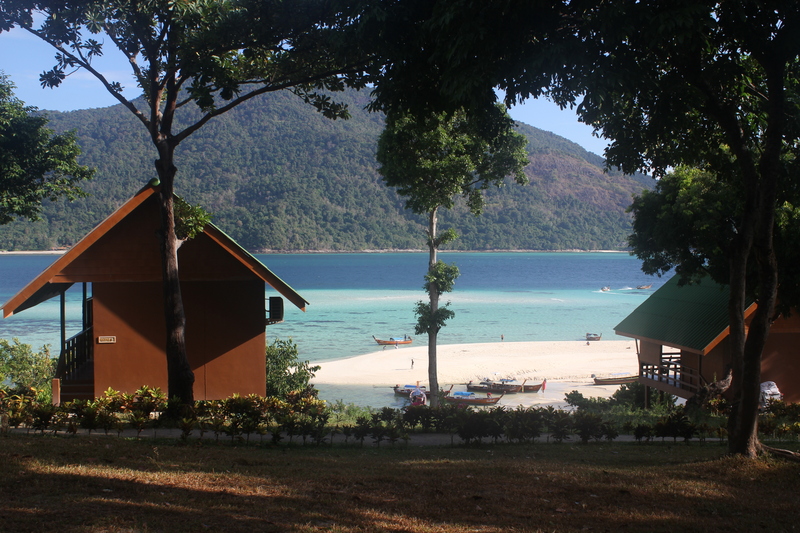 We booked Lipe Resort (http://www.liperesort.com/) via hotels.com for 64€ per night. Soon after the arrival we felt that we should have gotten something much nicer for that amount of money…. The hotel is located on the Pattaya Beach, one of the two main beaches of Koh Lipe (http://www.kohlipethailand.com/images2/maps/map-koh-lipe.jpg). The beach is not particularly welcoming for swimming because there are too many boats parked in front of the beach and this has indeed become a common complaint about the Pattaya Beach. The first day we did snorkeling in front of the hotel. The snorkeling was actually quite pleasant and we saw many schools of fish and colorful corals but returning to the beach was a challenge as the low tide brought us closer and closer to sea urchins (there are many!). The next day we booked a full-day snorkeling trip to visit the smaller islands and snorkeling spots of the Tarutao archipelago. Most companies offer two types of full-day snorkeling trips and we did both of them through a company called Koh Lipe Thailand Travel Shop (Boi’s Travel Shop) on the main road (http://www.kohlipethailand.com/). The shop sells all types of tickets, has computers for internet, and provides other travel services. The owner (?) called Boi is friendly and speaks French, too. In fact we felt that she was one of the few professional persons we met on the island…. Her shop became a one-stop-shop for everything we needed. Regarding snorkeling, Program 2 is supposed to be more complete and interesting, but we preferred Program 1. As we did not particularly like the Pattaya Beach we were happy to escape the island during the day. When you google Koh Lipe, the internet gives you amazing photos of the most beautiful beaches, but for your information, in most cases these photos are not of Koh Lipe but of islands nearby. 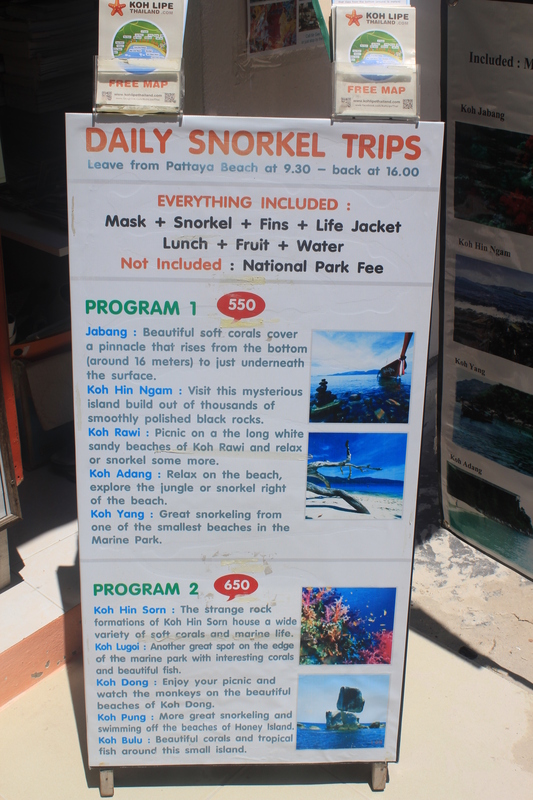 So even if you are not a snorkeler I recommend you to do these daily trips to get away from the crowds. The only downside of the snorkeling was a storm that had touched the island just before our arrival, infesting the sea with millions (am not kidding…) small jelly fish. They were everywhere to the extent that our boat decided to skip a few snorkeling spots. A pity! 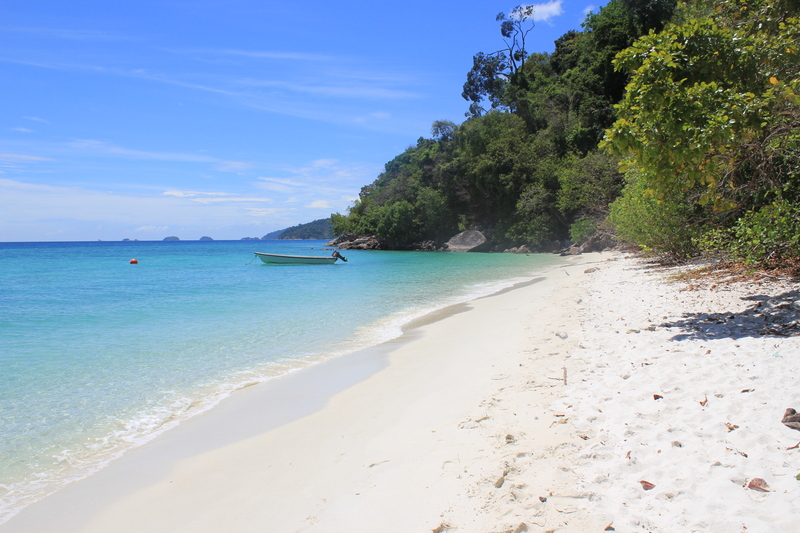 This said, we liked the snorkeling and it was the highlight of our Koh Lipe stay. As you can see in the photo, some beaches are very picturesque (yet unfortunately dirty, which I found shocking considering this is supposed to be a National Marine Park!). But back to the accommodation. Lipe Resort had not impressed us in any way. The food was very inconsistent and left us craving for that famous Thai culinary experience. The service was bad, or should I say nonexistent, and our clothes came back from the laundry with holes and stains. Great. The room was ok, but at night the neighbors were making a lot of noise. 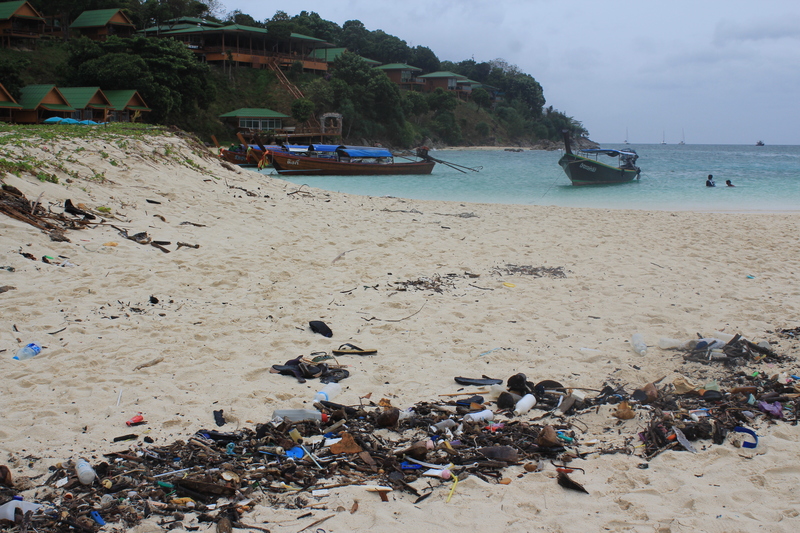 I think the worst part of Koh Lipe was in fact the badly-behaving tourists: who likes to watch people throwing up and passing out…. 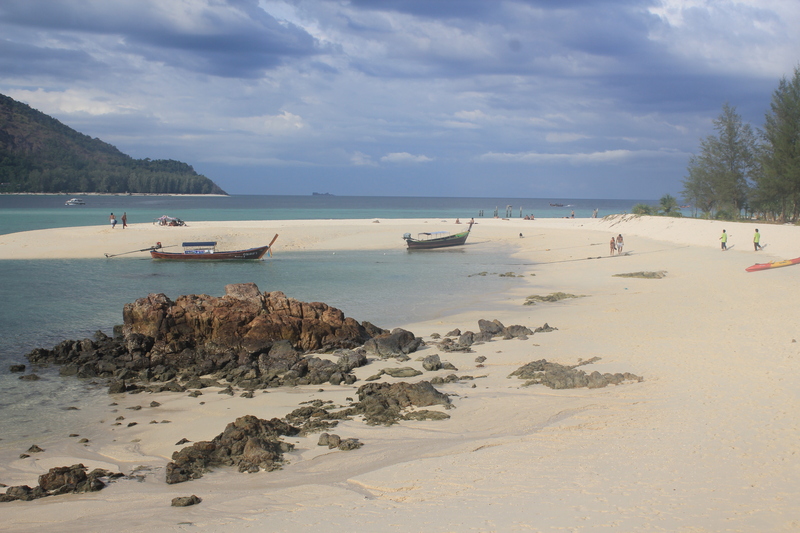 Unfortunately Koh Lipe was soon becoming the destination we had explicitly wa nted to avoid…! We had no time to change the island, but after two nights we changed the hotel. We moved to Mountain Resort (http://www.mountainresortlipe.com/), located on the other side of the island, on Sunrise Beach where people gather to watch the sunset. 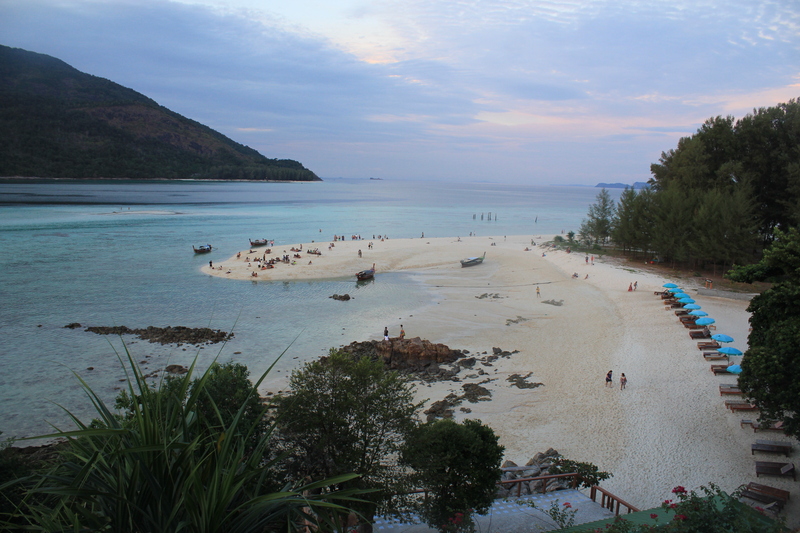 One of the most commonly-used pictures to illustrate Koh Lipe has been taken from this hotel and on the right side you see my version of this view. We paid 50€ per night for a “deluxe garden view” bungalow and the price felt more or less correct until on our last day I woke up with bed b ug bites (again!)…. If you decide to stay at this hotel, do yourself a favor and minimize the risk by staying at one of the concrete bungalows (bed bugs prefer wood). We liked the location of the hotel and the beach in front of the hotel you see in the photo above is really gorgeous. Unfortunately the beach is not well maintained and there is a lot of rubbish (see the photo below). Such a pity!! The other downside was once again the food: the hotel food was at best mediocre and you are sort of stuck because there are not many options as to where to eat near the hotel. You need about 10 minutes to walk to the Pattaya Beach and the “main road” where most of the services are located. A tourism professional we later on met has been going to Koh Lipe for over ten years now and he said that there are only two hotels that meet professional, international standards, and they are Castaway Beach Resort (http://www.castaway-resorts.com/) and Serendipity Resort (http://www.serendipityresort-kohlipe.com/). We stopped by at both resorts and Castaway seemed to attract chic clientele with stylish decoration. The reception person at Serendipity was not welcoming regarding our request about prices and rooms, and the prices seemed excessive. 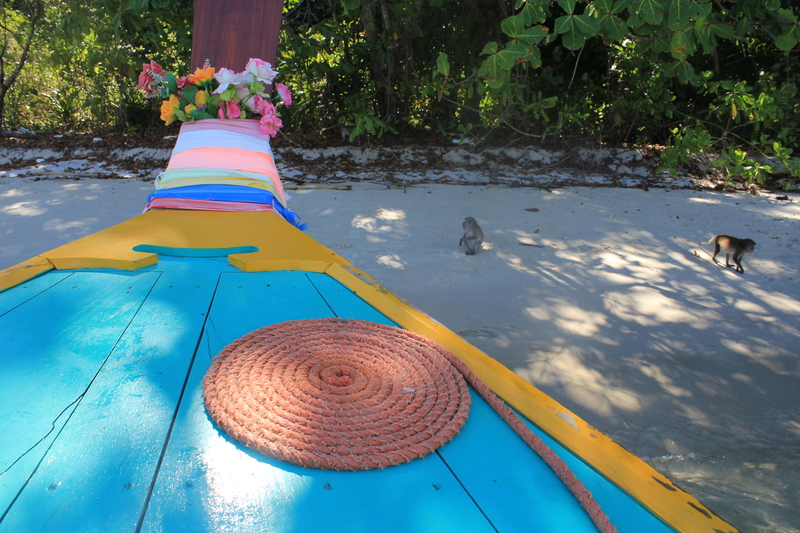 This same person sh ared our impression that the tourism has gone wrong in Koh Lipe. When you look around, on the island or in the sea, you see lots of rubbish. I found this particularly shocking because it felt that the National Marine Park status means nothing! Moreover, as mentioned earlier, the clientele was not at all what I had expected, and once again I asked myself how the locals feel about watching those drunks… The original inhabitants of this archipelago are Malay aboriginal sea gypsies, also called Urak Lawoi people. 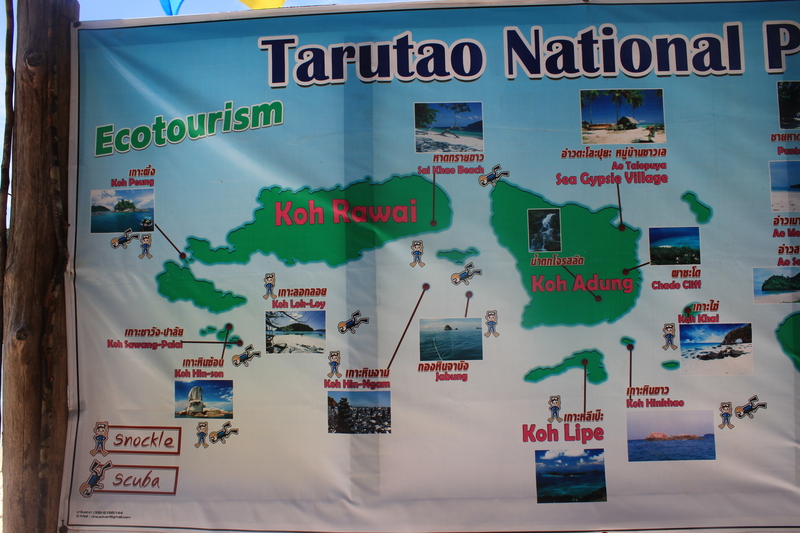 Since 1974, when the Tarutao became a National Marine Park, their lives have gone upside down and if I were one of them, I would ask what happened to that once beautiful and innocent island called Koh Lipe. PS I by no means want to upset any of my dear readers by this article, but I think it is important to share sincere opinions. If you are in love with Thailand and think my experience does not give justice to Thailand, then please write to me and provide me with the coordinates of your favorite secret, unspoilt beach destination and I will try it the next time I am in Thailand! This entry was posted in Uncategorized and tagged diving & snorkeling, food, hotel, Malaysia, Thailand on May 8, 2013 by Miia.